Buy More Burlap Stripes Ribbon Save More! 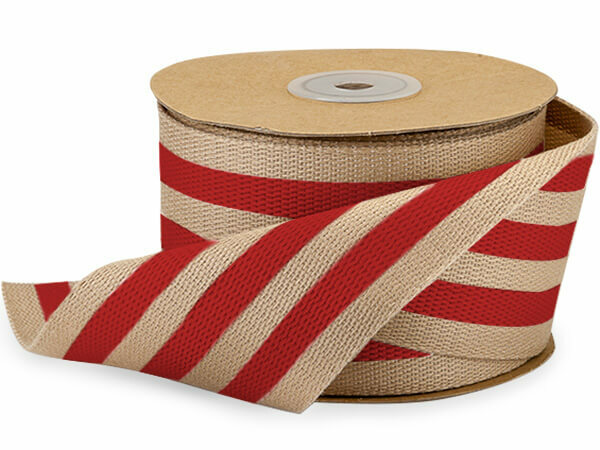 Red Stripes Faux Burlap Ribbon in 2-1/2 x 10 yds features red & natural color stripes. Perfect for Christmas & Valentine's Day! This classic stripe design is soft & looks beautiful on gift baskets & wreaths! 100% Woven Polyester. Popular classic stripes! Made of 100% woven polyester in 2 sizes with the look of burlap but super soft. This ribbon looks great on gift baskets & wreaths!